Imagine…No more painful waxing, or pesky ingrown bumps from shaving. Throw away the razors and messy waxing kits, and experience what modern technology has to offer. Zap your way into a hassle free, hairless tomorrow with our Laser Hair Removal Specials!! Laser Hair Removal is a procedure much shorter than electrolysis. Lasers target hair follicles and eliminate or significantly impede hair from growing back. This is a quick, virtually painless procedure, and the patients are able to return to their normal activities soon after treatment. 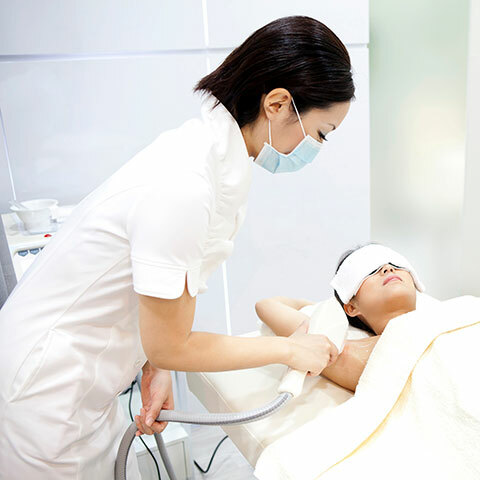 Laser Hair Removal (LHR) has become very popular. According to the American Society of Plastic Surgeons, over 600,000 patients underwent laser hair removal in 2003 in the United States alone. This is a 6% increase from the previous year. With the increasing popularity of various LHR, it is important that you research and understand different issues like what the procedure can and cannot treat, inherent risks and other factors. While the information contained in this website will provide you with a good introduction to laser hair removal, when considering this or any other procedure, we recommend that you come in for a free consultation. Who would best Represent an Ideal Candidate for Laser Hair Removal? Esthetic Laser Clinic offers the very best energy-based laser hair removal treatments available, with Candela GentleLASE and GentleYAG lasers plus Lumenis LightSheer lasers all skin types can be treated with the right laser for you and not just one laser fits all. When combined with our proprietary Laser Hair Removal Protocol, which takes into account a variety of individual patient characteristics such as skin and hair color, body chemistry and even genetic makeup, and years of experience; our system sets new standards for safety, comfort and effectiveness. By combining the multiple lasers and IPL technologies with our Laser Hair Removal Protocol, we have also created a system that makes laser hair removal a safe and effective option for people with darker skin tones or lighter hair colors, which pose a challenge for single laser-only systems. 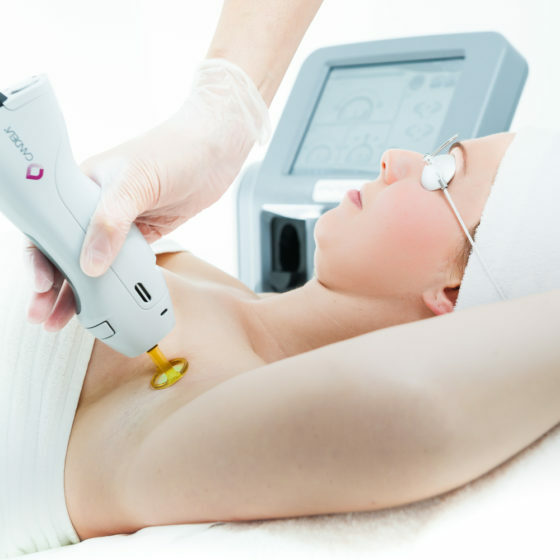 Esthetic Laser Clinic is constantly updating its laser hair removal technology. Our advanced, FDA-Approved systems combines pulsed, high-intensity light with carefully-modulated IPL energy to deliver an unprecedented combination of safety, versatility and effectiveness for virtually all hair and skin colors. Esthetic Laser Clinic features the patented Dynamic Cooling Device (DCDT) that sprays a fine mist of cryogen prior to each laser pulse. This device minimizes pain, protects the skin, and enables the laser energy to gently reach and treat hair follicles. We also have an actively-cooled treatment head that helps to soothe and protect your upper skin layer, while the pulsed light energy gently work together to disable active hair follicles. The length of the procedure can be a few minutes, or an hour, depending on the size of the area. A laser produces a beam of highly concentrated light. Different types of lasers produce different colors of light. The color of light produced by a particular laser is the key to its effect on hair follicles. During the laser hair removal procedure, the light emitted by the laser passes through the skin and gets absorbed by the pigment located in the hair follicles. The laser pulses long enough to vaporize the pigment, disabling several follicles at a time. This results in eliminating or significantly hindering any hair growth in the treated area. For most clients, multiple sessions are usually needed to optimize results. Typically four treatments, six to eight weeks apart, may be needed. However, some clients find improvement after one visit, enough to be satisfied with their appearance. Patients need to wait about a year to see the full effect of the laser hair removal. This is due to the fact that hair growth cycles can be about six months. Waiting through two growth cycles would be best in order to see the final results. *Depending on hair and skin color, some persons may require additional sessions and some may not see the permanent results desired. Esthetic Laser Clinic uses more then one type of laser because not everyone has the same type of skin. HOW DO I PREPARE FOR MY TREATMENTS ? The treatment area needs to be shaved to skin level, although a days hair growth may be necessary and helpful so that the area that requires treatment is easily recognizable. You must avoid waxing, plucking, threading or electrolysis of the hair for 4-6 weeks prior to treatment. The laser needs the hair at skin level in order to effectively destroy the hair follicle. Avoid the sun exposure for 4-6 weeks prior to treatment. The lighter skin allows more energy to be delivered to the target. A “skin” bleaching cream such as Hydroquinone may be started 4-6 weeks before treatment in order optimize results. Be sure that the treatment area is fully washed off and has no makeup, medication etc. Be certain that you are not on medications such as Accutane, Retin-A, Gold Therapy etc, at present or within the past 6 months. These medications, and several others, can make your skin susceptible to damage from the laser. If in doubt, please ask us for a list of the said medications. 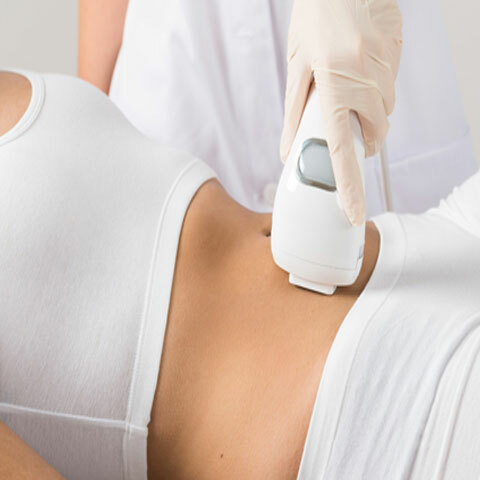 Laser treatments for hair are not recommended if you are pregnant. Avoid bathing or washing with very hot water, Use tepid water. Wash gently. Keep the area clean. Do not shave the treated area for at least 4 days after treatment. Avoid any irritating medications or chemicals. Examples of these are Retina, Benzoyl peroxide, glycolic acid or astringents. Avoid direct sun exposure for at least 3 weeks after treatment. Protect the area with a sunscreen of higher than 30 SPF or else the skin may develop hyper-pigmentation/hypo-pigmentation marks. The treated area may become pink, red, inflamed, or even blistered within 30 minutes and in rare instances last several hours to several days. Regular application of ice, cooling gels, Hydrocortisone or Neosporin is important for relief. Do not wax, pluck, thread or use depilatories for the hair that grows back. After laser treatment, hair may continue to grow out as if it were never treated. Typically this will occur for about 2-3 weeks and then those treated hair will simply begin to fall out. Generally it is best to wait 4-6 weeks between treatments. There is no advantage to scheduling your visits closer together even if you do not see immediate results. The laser only targets hair in the growth phase. The next growth phase is generally in 4-6 weeks. How Much Pain is Associated with Laser Hair Removal? Clients report the pain level associated with laser hair removal is usually about like a rubber band snapping on the skin. For those who are sensitive to pain, topical anesthetics are available and will make the procedure more comfortable. The Esthetic Laser Clinic is a trusted skin care and laser hair removal clinic where expert licensed skin care specialists work as a team to deliver the most advanced skin rejuvenation and hair removal treatments available today.